We know when people are interested in buying a car, one of the first things they do is go online and do a Google search of car reviews. Well, did you know that you can go to the Acura website, choose an Acura model and a competitor model, and comparison data will be automatically generated for you? 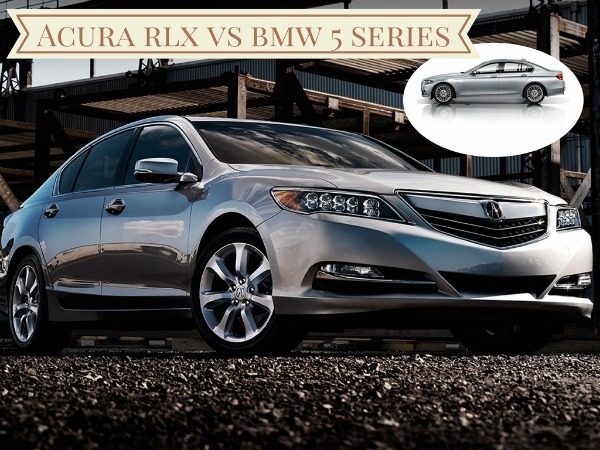 However, we’re going to make it all the more convenient for you—we’ve looked at the comparison report between the 2014 Acura RLX 6-speed AT and the 2014 BMW 5 Series 528i and we’ve picked out the top 20 highlights that distinguish the Acura RLX from the BMW. The all-new 2014 RLX is Acura’s flagship luxury sedan; it’s one of Acura’s most technologically-equipped models to date. That being the case, the BMW trim we’re using as a comparison is a stiff competitor. Take one look at the comparison data and you will see the features of each model make them very close rivals. While we’re partial to the Acura brand, even we can admit the BMW brand has plenty of respect from the industry. However, there are several key details about the RLX that we know will make a big difference to drivers when it comes to considerations such as price, comfort, convenience, safety, power, and more. The RLX has a lower starting MSRP and destination charge. The RLX has higher ALG residual value after both 36 and 60 months of ownership. While both models carry the same basic warranty in terms of months and mileage, the RLX has a better, longer powertrain warranty (for both months and mileage). Rearview camera is standard on the RLX. Heated front seats are standard on the RLX. LED headlights are standard on the RLX. The RLX comes with standard satellite radio connection. The RLX offers standard surround sound. For extra storage, the RLX has a trunk pass-through. The RLX is a more powerful 6-cylinder engine (compared to 4 cylinders on the BMW). The RLX has both more horsepower and torque. The RLX is a 24-valve engine (compared to 16 on the BMW). Paddle shifters come standard on the RLX. The RLX is a slightly bigger luxury sedan compared to the BMW in both car length and width. The RLX offers slightly higher maximum and total cargo volume. There is more front and rear legroom in the RLX. There is more front and rear shoulder room in the RLX. The RLX includes a standard Accidental Avoidance System to help stop collisions. The RLX received a 5-star rating (vs. a 4-star rating on the BMW) from the NHTSA on the front passenger crash test. We certainly encourage you to use this list as a starting point as you consider the RLX as a potential model for your lifestyle; but for a full comparison, be sure to check the details on the Acura website. For more information on the 2014 Acura RLX, you can read our full overview here. Finally, we realize research is only part of the decision-making process; a hands-on experience is part of the equation as well. If you’d like to test-drive the 2014 Acura RLX at our dealership, simply schedule an appointment at your convenience via the button below. We look forward to seeing you at Tischer Acura, and we’d love to assist you in finding the right vehicle that suits your lifestyle needs. Back in April, we did a blog post on the line of sports cars available in the Acura line-up. One of the vehicles featured in that post was the all-new 2013 RLX – Acura’s Supercar. We were fortunate enough to be able to talk to a few RLX owners recently about their experience with the sports car. Part 1 of our interviews appears here. Ivan is a 35-year-old IT professional living in Upper Marlboro. He is a husband and father, and has always enjoyed sports, attending special events, and keeping up on the most recent technologies. Tischer Acura (TA): Is this your first supercar? If so, what made you decide to invest in such a luxury automobile? If not, what other supercars have you owned? Ivan: No, this is not my first supercar. I have owned both a 2002 BMW 540i and a 2008 750 BMW Li. TA: What first attracted you to the Acura RLX? Ivan: I like the look of the car. I was at the dealership with my wife while she was purchasing a 2013 MDX and noticed it right away. TA: When did you purchase your RLX? Ivan: I bought my RXL just last month, in May. TA: What factors played into your decision to purchase the RLX? Ivan: There were three main things that drew me to the RLX: its uniqueness, the price, and the awesome warranty. I was actually looking for an Audi A8, but for slightly more than I paid for this 2014 model, I would have only been able to get a 2011 Audi. The choice was obvious! TA: Did you test-drive the RLX before deciding or did you know going in to the dealership that you were going to drive off with the RLX? Ivan: Yes, I test-drove the car and it wasn’t until then that I was sure I would buy it. TA: How does the RLX compare, in your mind, to other supercars on the road today? Ivan: Coming from a BMW owner, I can say that it doesn’t quite have the power that I would expect a supercar to have. I do enjoy the handling as it seems comparable to a BMW. The look of the car is unique. One of the reasons I got rid of the BMW 750 is because it looks almost like the 745 and not much changed in 2010 when they changed the body style. There is a good amount of space inside and it seems to have many of the features that are looked for nowadays in a car of this caliber. 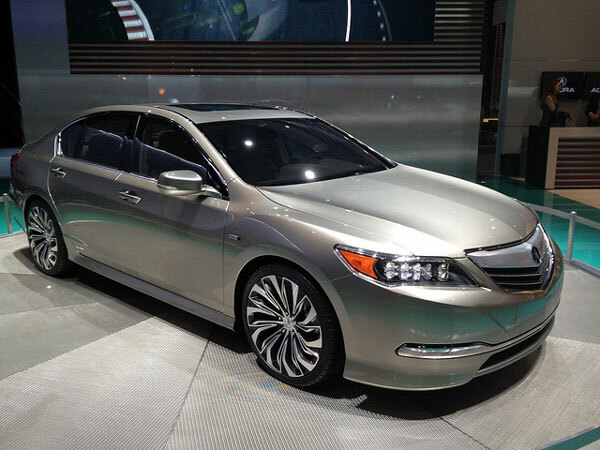 TA: What features do you like most about the RLX model? Ivan: Again: the look, without question! There aren’t many on the road–I have yet to run into another one. The price was good, although I think it is a bit steep for an Acura. I do like how the carseat clips have a slot in the back seat. This is much easier than trying to force the clip between the back and bottom parts of the seat. The AcuraLink is also great. Sending GPS destinations to my car is a great feature. Also, the many, many options for listening to music. Also, I like the dual screens as well as the many, many options to personalize the vehicle. The GPS system has a great look and having personalized icons for your address book always displayed on the screen is pretty cool. TA: What would you change or add to the features of the RLX? Ivan: There are a few things that are missing that I had in my 750 Li. I would add a button to close the trunk and I wish there was a greater difference when driving in sport mode. I don’t really feel much of a difference. The only thing is that the manual levers work in that mode. TA: Would you recommend the RLX to someone looking to get into their first supercar? Why? Ivan: I would, if only because of the price and the warranty. Other brands can be quite expensive to purchase as well as maintain if they go with a used car. TA: Have you experienced any mechanical/maintenance issues with the RLX? Ivan: The audio system seems to have some glitches in it. I have had issues with no audio at all and I have had issues with my phone not ringing from the car when a call comes in. I was listening to music through the Bluetooth when this happened, so the link was there. I am not sure why the phone didn’t ring inside the car. Twice the welcome music didn’t play and once there was no audio at all. No radio, bluetooth, XM, nothing worked until I parked, turned the car off and then turned it back on. TA: Has owning an RLX brought you more attention when driving? Has that been a positive or negative experience for you? Ivan: I will say that heads do turn when I am driving it. That’s one of the things I love about this car. I love that it is unique in look and appeal. I love the attention!! Check back soon for our next interview on the all-new Acura Supercar, the RLX! If you’re interested in test driving the RLX for yourself, be sure to click the link below to schedule a test, and be sure to let us know what your thoughts/opinions on the RLX are in the comments below. Your feedback is appreciated!